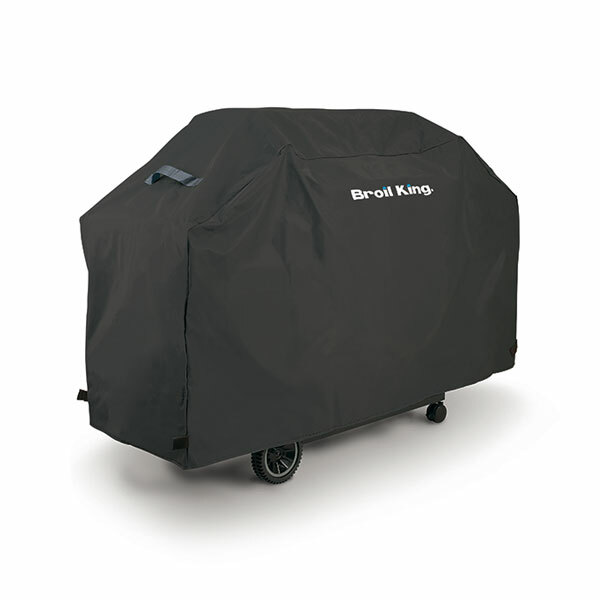 Rain, snow or windy conditions, Broil King® exact fit covers are available in two premium quality materials to ensure the best protection from all the elements. 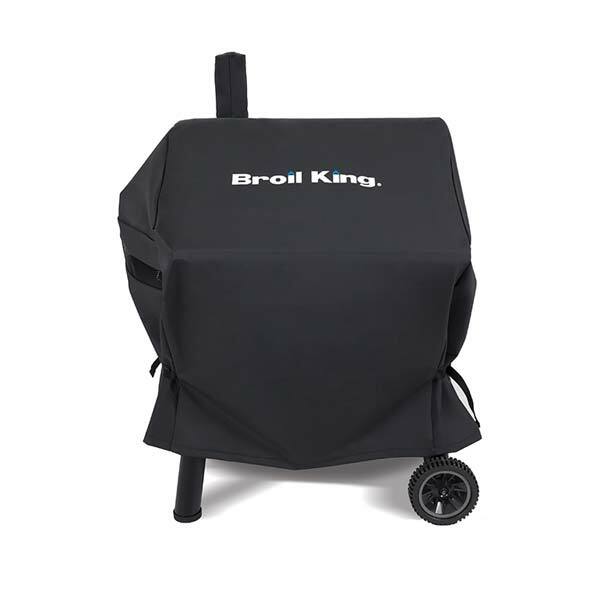 This guide applies to North American Broil King grill models. 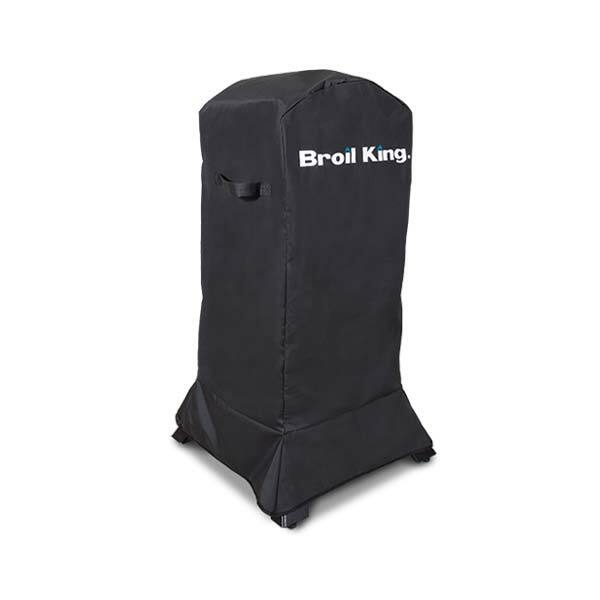 For assistance selecting a cover for an older Broil King® model please refer to the measuring guide below or contact us. 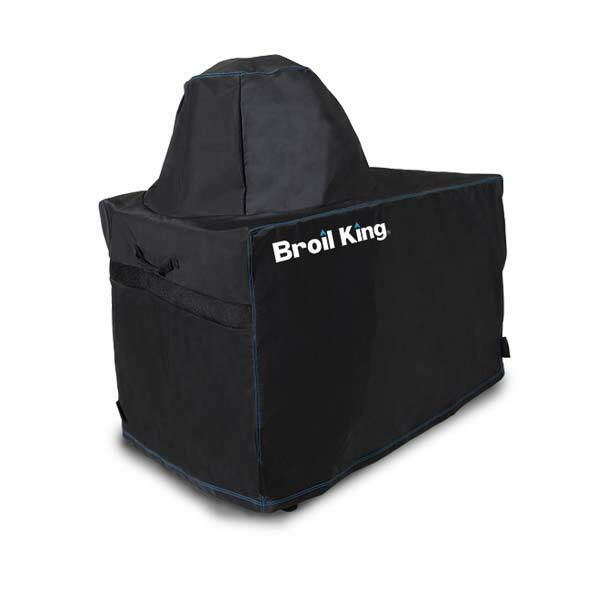 Broil King® Select Series covers are crafted from durable and weather resistant PVC outer shell with a 500 x 300D polyester lining. 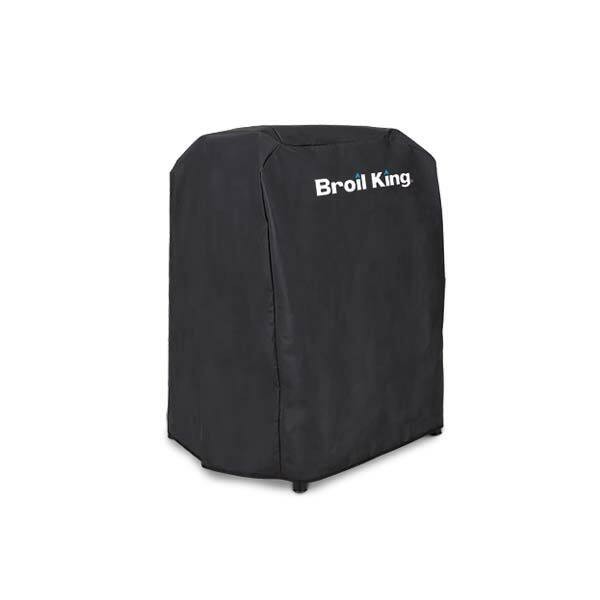 These deluxe covers feature hook and loop closures, polyester handles, and the Broil King® logo screened onto the front. 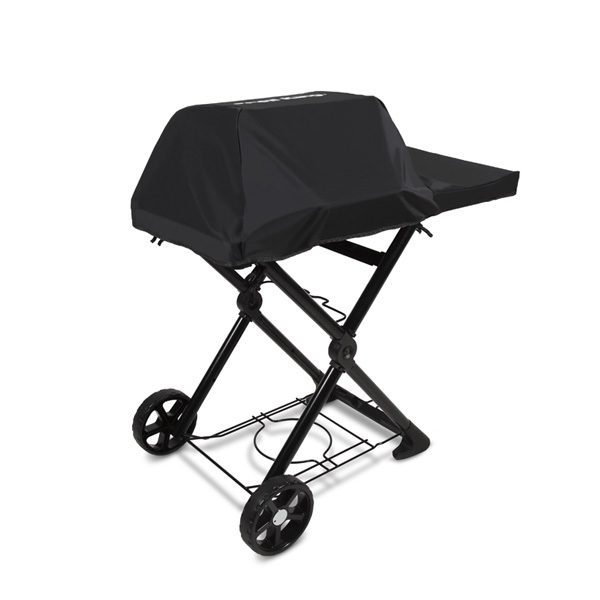 Grill covers are tailored to fit the shape of most grills. 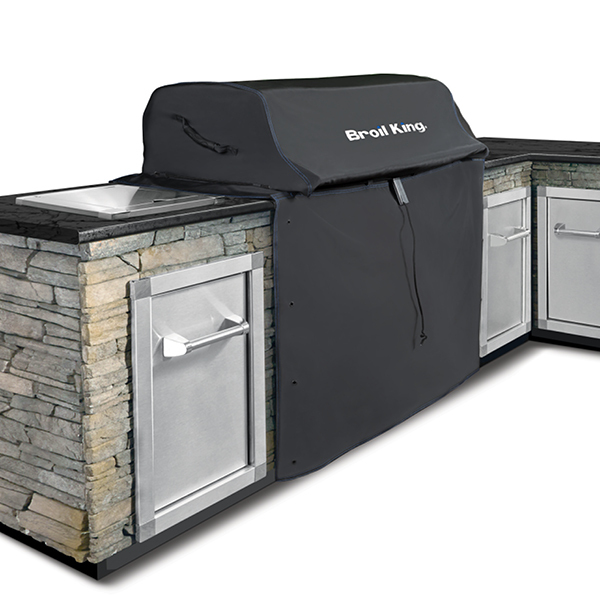 If the angled points in the material are wider or more narrow than the grill itself problems can develop in either of the following ways. 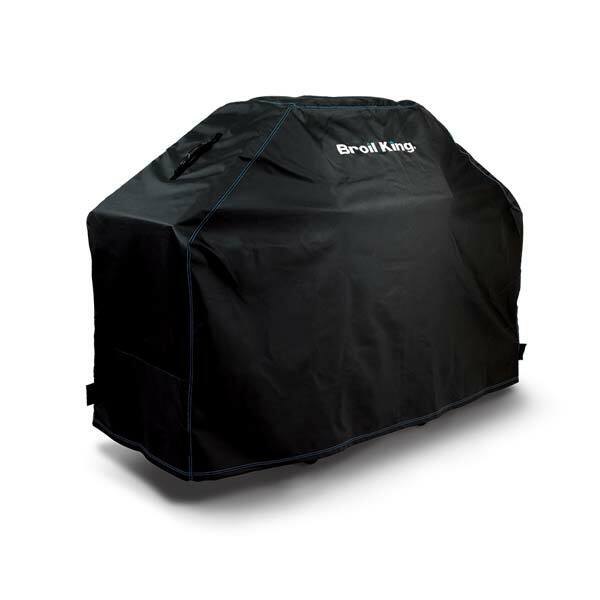 a) Over sized covers hold in moisture by draping all the way to the ground, extra moisture rots a grill faster. 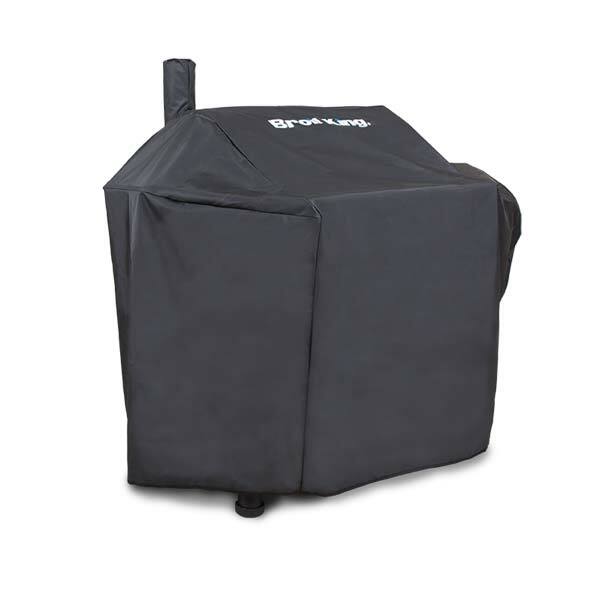 b) Undersized grill covers rub on the corners of the shelf and are more prone to tearing at those friction points. 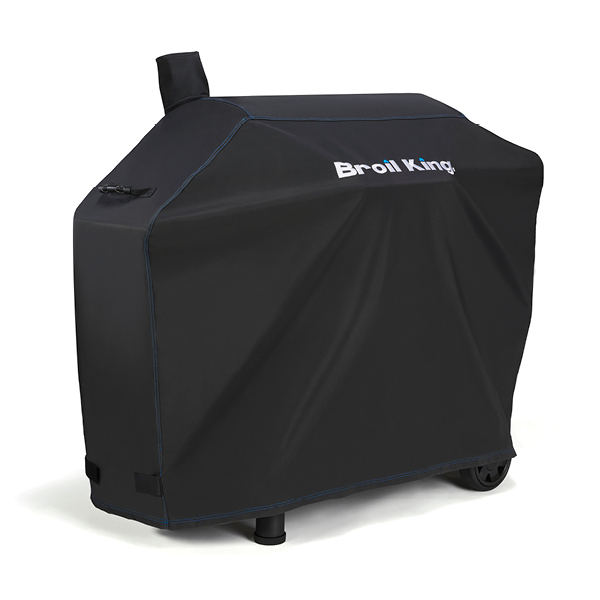 c) Essentially the perfect size of cover should allow the grill to breath and fit it comfortably. 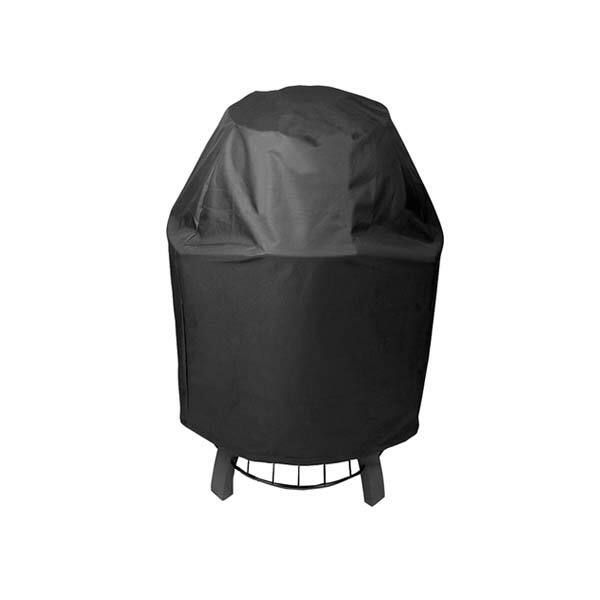 Hook and Loop closures keep the cover in place in the wind, the small hook and loop tabs may seem unimportant but they’re the only thing keeping a grill cover in place and out of your neighbours yard in the wind. 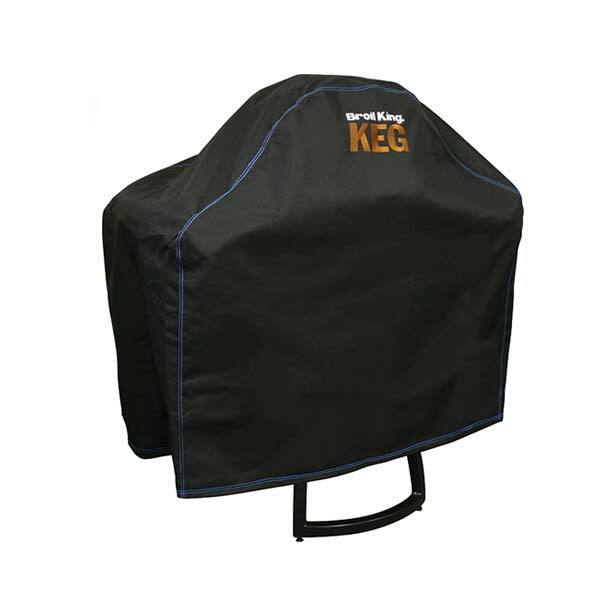 Handles on a grill cover make it easy to place and remove as they are located in optimal lift points to keep the cover from snagging on the way off and on. pests to turn it into a habitat. Using a tape measure establish the length, depth, and height of your grill. Write down these measurements.